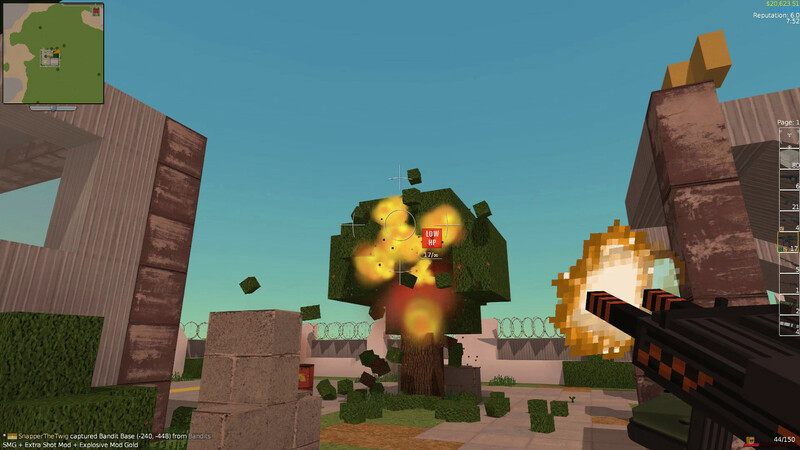 Voxel Turf is a block based Action Adventure game with City Building and a side of Grand Strategy. Build cities or destroy them! Drive and do missions around in your creation or just blow stuff up! Fight for territory or play with friends in multiplayer! It's all up to you! Post news Report RSS	[Watch] Dev Diary 17: Gunplay Improvements + New Dungeon System! 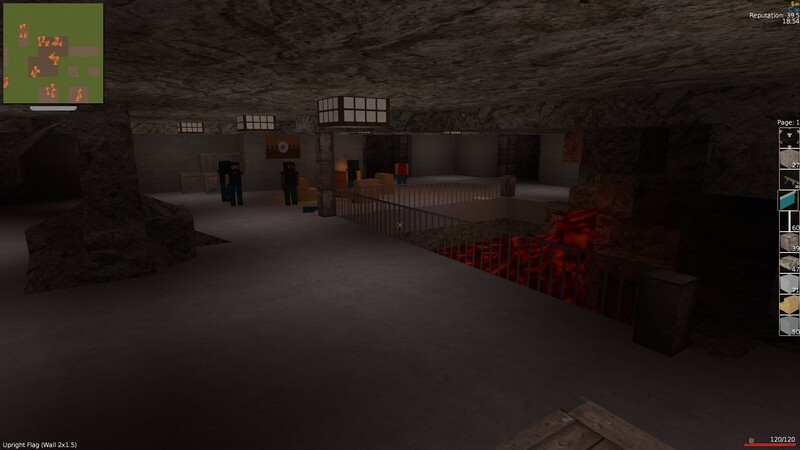 Today's update adds Gunplay changes, as well as a brand new dungeon system! Update Video: Gunplay Update + Dungeons! If this game interests you check out the Steam Page! has been reduced, in most cases halved. Firing a weapon introduces weapon kick which recovers over time. Weapon mods effect recoil kick. Explosive and Extra Shot mods increase it (and this stacks), Silencer mods reduce it. Above: A SMG modded with a Extra Shot + Explosive Gold mod - really kicky! As a bit of added challenge, bandits in fortification level 3 bandit bases or stronger now have a chance to wear body armour. This chance increases, as does the armour quality as the fortification level increases to a max at level 5. Dungeons are mid-late game content that consist of large networks of rooms in the hills. They are initially hidden on the map and must be discovered. Entrances to dungeons are marked as fortification level 1 bandit bases and can be found as giant stone spires in the world, and individual dungeon rooms are disguised as hills lots. Bandits in dungeons are stronger than the bandit base inhabitants you're used too. They start at fortification level 6, and progress to level 10. The number of dungeons on the map is dependent on the number of hills lots on the map with a maximum of 5 spawning, space permitting. Each dungeon is progressively bigger than the last. You can take the "Dungeon Debts" mission and pay the Schemer $50k for one. This mission will spawn once you reach level 10. You can take the Griever's mission to kill Blasty McSurprise, Blasty himself drops a Blue Dungeon Key when he dies. Blue Dungeon Keys are rare loot spawns in Bandit Bases. In each dungeon there is a Bandit King who functions as the boss, who drops a lot of valuable items + a key to the next dungeon, and perhaps more importantly, they drop a crown you can wear! If you are playing in multiplayer then they'll drop multiple keys. While in a dungeon you cannot tele-buy items, so stock up on healing items first! I firmly recommend that you level up a bit first (level 10 is a good guide for the first one), and get a few combat perks + silver or gold tier weapons and mods. Finally dungeon rooms are moddable with the lotpack system, see /lots/packs/vanilla.txt for details. Blank dungeon pieces are provided in /lots/packs/vanilla (for example dungeon_22.lot, dungeon_21.lot). 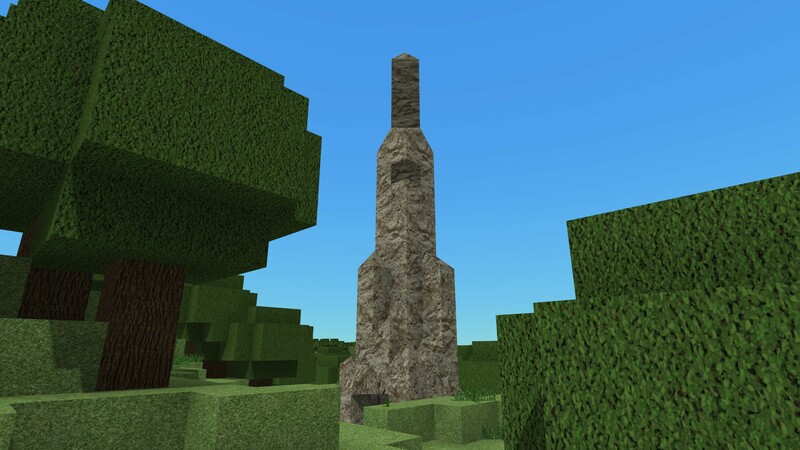 Why stone pillar? Wouldn't it be more setting appropriate to style it as some tiny bunker or shed? I wanted something that would pop-out in the distance and make players think "oooo what's that?"